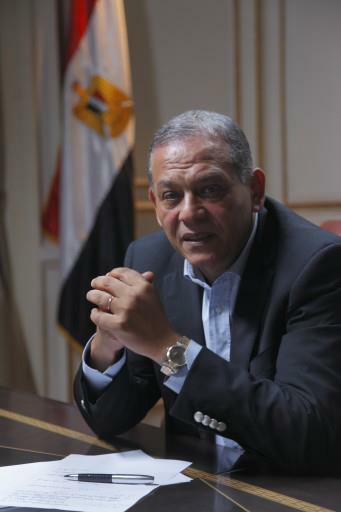 Anwar El Sadat, Chairman of Reform & Development Party, demanded Egyptian president Mohamed Morsy and prime minister Hisham Qandil to apply the conflict of interest law and dismiss the ministers who have been chosen in the last cabinet reshuffle while they have engineering consulting offices which are still operating. El Sadat stressed that according to the law and the Egyptian Constitution, it is not allowed for the Minister to have private offices or companies which are operating in the same specialization, leading to direct benefit to the minister. He pointed out that we suffered from the conflict of interests under the former regime, and today we repeat the same tragedy with different faces. El Sadat explained that the conflict of interest stigmatized all government formations from the Board of Directors of Export Support Fund, which consists of businessmen who themselves receive money from it. It also tainted the Board of Directors of Competition Protection & Monopoly Prevention Authority, whose formation raises suspicions that businessmen compliment each other. In addition, Investment Authority, which is entrusted with developing privileges and exemptions for businessmen, is full of their representatives. So we call for the government to wake up and face this farce before we re-produce a new system of corruption.